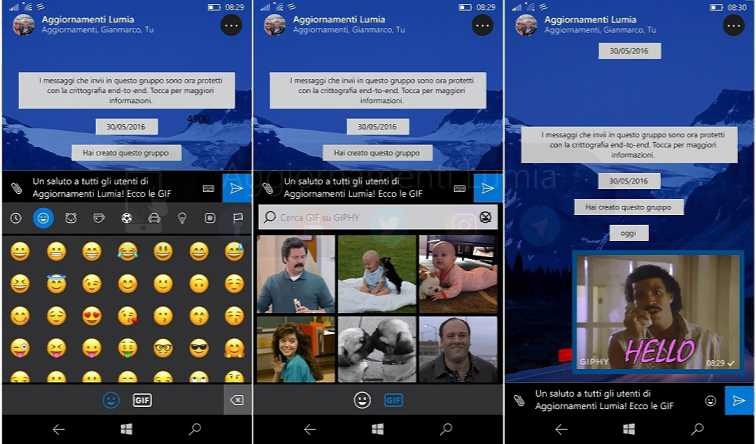 WhatsApp Beta app version 2.17.32 is now available for Windows Phone users. The latest update brings the new GIF Search feature and many other improvements. Previously, the GIF Search feature was hidden, but now users can test this feature. This new feature allows users to search for GIFs in a new panel, select and edit them, and then post them to users. The WhatsApp Beta app update also brings other improvements also like updated Status page, new Status Alerts, new Privacy options for your Statuses, the ability to forward status updates, vCard support, the ability to share multiple updates. Also, you can now save photos and videos to the Saved Photos folder. The search UI is also improved with the increase in the media share limit to 30 MB.